Spanning more than 200 countries and 50 states, clinical trials explore new, experimental therapies and medicinal treatments that will impact medicine for centuries to come. These treatments can range from new standard pill capsules to medical devices, from vaccines to blood products or gene therapies, and even behavioral or surgical procedures; but, every study Improves researcher’s understanding of the way drug therapies affect common ailments. Science backing the usage of daily vitamins and dietary supplements to prevent or slow illness would not exist without clinical trials. But in order to conduct groundbreaking research, clinical researchers must first go through a lengthy process before study participants even enter the equation. Before beginning clinical research among humans, drug developers must first conduct preclinical treatments either in a lab or with animals—in vitro or in vivo. They must then submit an Investigational New Drug (IND) application to the US Food and Drug Administration (FDA). The IND must include, but is not limited to, data from the preclinical trials and specific protocol for the study in question including volunteer selection criteria, length of study and whether there will be a control group. It is only after preclinical treatments, IND application approval, carefully monitored clinical trials and submission of a New Drug Application (NDA) that new medical treatments can be approved by the FDA. What are the potential benefits and/or side effects? What is the best dosage and usage method? How are people of different groups (race, gender, age, etc.) affected? How does it interact with other drugs or treatments? How does it compare to similar drugs? The duration of a clinical trial can range from several weeks to several years. Once a study is completed, it will take even more time to analyze the data and summarize the results, often in an academic or medical journal. Many studies listed on ClinicalTrials.gov will include a summary of results within a year of the study’s completion. Even if the results did not quite meet the goals of the researchers, it is important to continuously share the results in order to keep researchers asking questions and moving forward in the research process. Significant breakthroughs in medical research have only been possible because of the participation of volunteer participation—healthy and unhealthy—in clinical trials. ClinicalTrials.gov and CenterWatch.com are just two resources for finding clinical trials that are actively recruiting participants. Additionally, you can ask your own doctor or community hospital if they are involved in clinical trials, or check out the website of an organization focused on a specific disease or disability. 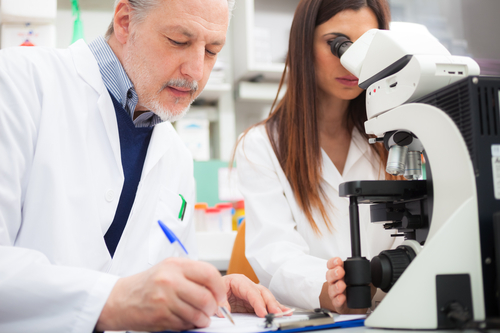 OCRC offers opportunities to become involved in clinical trials and research study, which can be found on our Current Studies page. You can always contact us to inquire further about volunteer opportunities.